Summer is the perfect time for hanging out with friends. This Summer you might hang out with old friends or make some new friends. Books are the perfect place for doing this. You might hang out with Greg Heffley, Percy Jackson, or Hermione Granger. 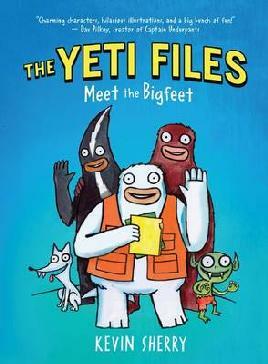 I’ve made a new friend recently called Blizz Richards, from Kevin Sherry’s new book, Meet the Bigfeet (the first book in The Yeti Files series). We can help you make new friends by introducing you to new books and authors. Try our ‘If you like…’ lists and our Holiday Reading Guide for some fantastic suggestions. You could also enter our Summertime Reading Club for your chance to win awesome prizes. Here are a couple of cool videos that some talented guys from Yoobee Design School have created that feature some of your book friends. What’s your favourite Kiwi song? While I was walking to work this morning I was scrolling through my iPod, trying to decide what NZ music to listen to to start off NZ Music Month. Fly My Pretties? Split Enz? 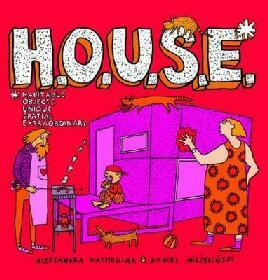 The Great Kiwi Song Book? It was a difficult choice but I settled on one of my favourite Kiwi artists, Dave Dobbyn. Listening to Dave got me thinking, what is my favourite Kiwi song, the one that reminds me of this great country we live in? After a lot of deliberating I have to say that my favourite is Slice of Heaven by Dave Dobbyn, with Herbs on back-up. My reasoning is because it’s connected to Footrot Flats: A Dog’s Tale, that classic Kiwi movie that I loved when I was a kid, and still do. The opening notes (Da, da, da, do, do, da, da, da) cheer me up no matter what mood I’m in and it’s one of those songs you can’t help singing along to. What’s your favourite Kiwi song? Why makes it such a Kiwi song? Auckland has The Big Day Out, The Girls’ Day Out and now it has The Wordy Day Out – the coolest event at the Auckland Writers and Readers Festival. As soon as I saw this event featured in the festival programme, I knew I had to get to Auckland no matter what. For those of you who haven’t been drooling over the programme for the Auckland Writers and Readers Festival, The Wordy Day Out, on Saturday is “a fun day featuring some of the best, brightest and liveliest authors around – all of whom happen to be labelled YA (young adult) authors.” Looking through the list of authors attending, I think they got the description spot on. Some of my favourite YA authors are there, including New Zealand’s own Brian Falkner, Bernard Beckett and Karen Healey, as well as some amazing international authors, including Cassandra Clare, Garth Nix, and Meg Rosoff. There really is something for every fan – whether you’re into fantasy, horror, adventure, thrillers, gothic or sci-fi. I’m truly buzzing with excitement, waiting to listen to these fantastic authors whose stories I love. I’ll hang on every word and be first in line to get my books signed after each session. Stay tuned for my report next week. This week on the Christchurch Kids Blog we’re challenging children to read a fantasy book. It could be anything from Harry Potter to The Lion, the Witch and the Wardrobe; The Loblolly Boy to The Golden Compass. We have heaps of reading suggestions and some cool books on offer, including the brilliant new fantasy, The Emerald Atlas and a Beast Quest prize pack. To go into the draw, children need to go to the Christchurch Kids Blog and tell us their favourite fantasy book. For more information about our Reading Crusade Challenges or for some great reading recommendations, check out the Christchurch Kids Blog. If your children love rugby and reading then they should join the 2011 Reading Crusade. It’s a fun reading competition run by Christchurch City Libraries and the Crusaders rugby team. Any children in Christchurch between 5-13 years can join in. All they have to do is read six books, fill out a reading log and get a parent, teacher or librarian to register their reading. Full details are available on the library website. There are heaps of prizes, including weekly Reading Crusade Challenges on the library’s Christchurch Kids blog. Join in today! Beth Revis leads you on a rollercoaster ride, with lots of unexpected twists and turns. Across the Universe has something for just about every reader – a dystopian society, science fiction, mystery, murder, and a touch of romance. It’s the first book in a new trilogy and I really can’t wait to read more. Get your hands on what is going to be one of the most talked about YA novels of 2011. You’re in your favourite bookshop, scanning the shelves. You get to the section where your favourite author’s books reside, and there, nestled in comfortably between the incredibly familiar spines, sits a red notebook. And then you do whatever it tells you to do. From these opening sentences of Dash and Lily’s Book of Dares I was hooked. Set in New York in the days leading up to Christmas, and a few days after, the story alternates between the characters of Dash (written by David Levithan) and Lily (written by Rachel Cohn). Lily is the girl who left the notebook in the bookshop for just the right guy to come along and accept the challenges found inside. Dash accepts the first challenge and leaves the notebook for Lily to collect. The notebook continues to be passed back and forth between them, with the help (and sometimes hindrance) of their friends and family members. They decide to meet each other, but will the boy and the girl in the notebook measure up to the boy and the girl in reality? 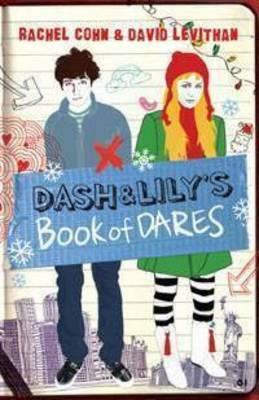 I loved everything about Dash and Lily’s Book of Dares. Dash and Lily are great characters with lots of personality, and their family and friends that help them complete their dares are hilarious. The authors have created a real sense of time and place and I really wanted to be there with Dash and Lily, celebrating Christmas in New York. It’s the perfect book for this time of the year, whether you love Christmas (like Lily) or loath it (like Dash). 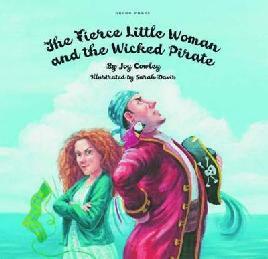 The Fierce Little Woman and the Wicked Pirate is a newly illustrated edition of one of Joy Cowley’s most loved picture books. I loved this book as soon as I set my eyes on it! Sarah Davis‘ illustrations are absolutely stunning and she has captured Joy Cowley’s characters perfectly. Thank you Gecko Press for giving this wonderful story new life. 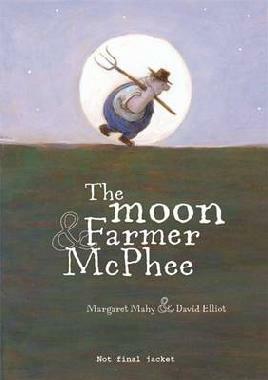 To celebrate the release of Margaret Mahy and David Elliot’s beautiful new book, The Moon and Farmer McPhee, we are having a special farm themed Storytime this Thursday, 25 November at Central Library from 10:30-11am. 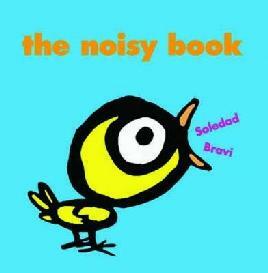 Come along for stories, rhymes, music and a chance to win a copy of the book.